Reading is one of the most important activities when learning a second language. It’s an important source of vocabulary, and compared with listening, it offers you much more control over your learning. You can read at your own pace and looking up things is considerably easier than when listening. There’s also a lot more written material available for learners. This month’s challenge on Hacking Chinese is about extensive reading. That means that you should read as much as you can, preferably about different topics and in different genres, rather than spending too much time trying to understand everything in a short text. Quantity is king. If you want to know more about the challenge, click here, or if you want to know more about Hacking Chinese Challenges, check this. You can also sign up for the reading challenge directly here. 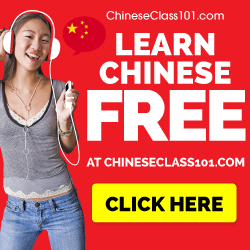 Just like I did for the listening challenge (The 10 best free listening resource collections for learning Chinese), I’m going to try to offer some free resource collections you can use. I have now collected almost 290 resources for learning Chinese, all sorted and tagged for your convenience. 79 of them are about reading. Below, I will introduce the best free resource collections available. Here, “resource collection” means a site that offers a large number of texts, so each of these potentially offer hundreds or even thousands of hours of reading! Note that some great resources such as graded readers have been excluded because they are not free. Check out the complete list here. Below, I have listed the best ranked resource collections, along with a direct link to the collection, a short introduction written by the person who submitted it and a link to the resource so you can vote/comment on it if you want to. If you have other resource collections, please share them! If you need an invite to Hacking Chinese Resources, let me know! The Marco Polo Project is a digital community reading and translating new writing from China. The website proposes a diverse and original selection of new Chinese writing by independent journalists and intellectuals, with bilingual titles and tagging. Users can contribute to the translation of these articles, read a bilingual versions of those already translated, or use the website for Chinese reading practice. This is a great repository of short stories for beginner and intermediate learners. Some of them also have audio and all have translations to English and word lists! I would be a little bit careful with trusting their difficulty ratings, though, I checked some stories that were meant to be beginner-intermediate that were definitely too hard form most students in this range. Still very good resource, though. This is the Chinese website of the New York Times. It obviously contains large amounts of reading material about current issues as well as other things. The articles are available in both Chinese and English, and there is even an option to turn on parallel reading (Chinese on one side, English on the other). I can think of few better ways of easing yourself into reading Chinese news! Try using a pop-up dictionary like Pera pera as well. The Chinese Text Project is a web-based e-text system designed to present ancient Chinese texts, particularly those relating to Chinese philosophy, in a well-structured and properly cross-referenced manner, making the most of the electronic medium to aid in the study and understanding of these texts. Note: I realise that this might not be the best resource for an extensive reading challenge, but it’s still a great reading resource! 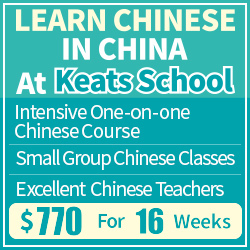 Chinese Idioms or Chengyu are short sayings usually consisting of four characters. Unless you know the story and its common usage, a Chengyu will sound like random nonsense. Here are some Chengyu stories, as taught to chinese students, with pinyin and chinese annotation. This site contains a huge amount of e-books in traditional Chinese. My guess is that downloading and reading them without having the original text might be illegal, but even so, it’s often great to have an electronic version of a book you’re reading in print. This allows you to find passages by searching, copying words and sentences into your SRS and so on. There are also some audio books here (recorded by amateurs, mostly). This is a really cool website that assesses your reading ability and then offers reading suggestions based on your estimated vocabulary knowledge. I haven’t used this enough to figure out how accurate it is, so if anyone has used this more than a few times, it would be great to hear what you think about it! This website contains a lot of short and easy-to-access articles about science and technology related articles (although they are usually very lightweight, you don’t need to actually be a professional to understand this). There are lots of sections on this site and I want to point to one in particular (apart from the front page). 小学堂 explains different science-related questions, such as how do scientists deduce the age of planets, where does the water on Earth come from and why is spicy food spicy? This site contains a huge number of lessons, complete with texts, vocabulary, audio, exercises and much more. And it’s all free. Note that if you want to get the intermediate and advanced material, you need to click the appropriate link in the top navigation (it wasn’t possible to link to a main page or portal of some kind, doesn’t seem to be one there). There’s a lot of great reading material out there, all free. As I mentioned, though, some of the greatest reading material, especially for beginners, isn’t free (textbooks and grader readers). For suggestions, check the article from last week. If you have suggestions for other reading resources, please share in the comments! Please include whom the resource is for and a brief introduction so I can share it on Hacking Chinese Resources. Later this week, I’ll post an article about how to increase the time you have available for reading, stay tuned! 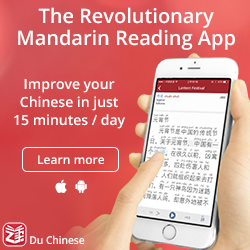 I’m curious about why you don’t mention the Defrancis reader series, Since they are so impressively organised, progressively taking you right from 你好 to 1200 characters, something like 5-10,000 combinations with built in spaced repetition and almost excess example dialogues and narratives. I’ve been reading it pretty intesively. I just finished part 1 of Beginning Chinese Reader, but I’m heading off for a 3 month trip around China/Taiwan next week speaking Mandrin, so I feel like I won’t have time or motivation to do any reading. Would you recommend taking time out for reading during conversational focused travel or could I focus soley speaking/listening with things like Chinesepod until I return. Thanks if you have the time to send back any tips! I didn’t include those books for the same reason I didn’t include any other books, i.e. they aren’t free. I did mention graded readers, though. Regarding your other question, I think you should focus on what the environment has to offer. If you travel for a limited time, don’t waste the time on reading! You can read when you get back home, but it will be a lot harder to speak/listen in dialogues later. The site divides readings into Beginner, Intermediate, and Advanced. You can hover over words to get pinyin and English. Very handy. I have been using the Manga Rock app on my phone to kill time. It is a Manga reader with a ton of free Manga. It has several Chinese sources, and you can filter by category. You can change the interface between several languages including English and Chinese. It is for iPhone, iPad, and Android usable. If you look in the settings you can see the websites that it gets it Manga from. Going directly to the website seems a bit more intimidating tho. I would say the level is probably appropriate from lower intermediate through advanced. ahem, that jw.org web site is the site of a religious group, the Jehovah’s Witnesses. Not that there’s anything wrong with that! 🙂 (that I know of :D) But it’s worth mentioning what the site is about, otherwise people might assume it’s a Chinese learning site, and get rather confused. It does seem to have a lot of texts and good quality audio, and the texts are in easy-to-understand language. I thought the site was for Chinese learning, started reading an article titled “魔鬼撒但真的存在吗？”, and began to feel a bit strange. (Spoiler: the article hedges a little, but does conclude 许多人都看出魔鬼撒但真的存在 so be careful!). 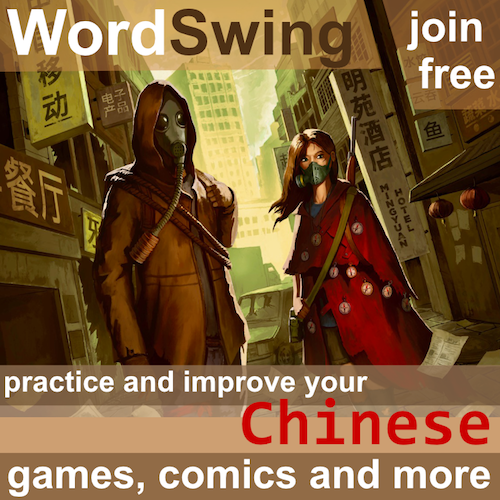 Sorry if I should have mentioned site content, I just added it because you can get listening practice and reading practice at the same time with professionally translated material. Site claims to have quality content in over three hundred languages. Also, there’s new content every couple weeks, which is more than I can say for a site like mandaread. Your event for November “reading Chinese” was a wonderful idea. 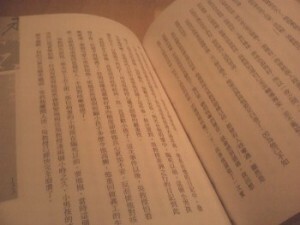 I only wanted to read two hours a day, but now I’m addicted to reading the Chinese texts you suggested. I can’t get enough! Thank you so much for all of this free content. I remember when I embarked upon learning Chinese. There was an overwhelming plethora of content out there but I couldn’t see any structure to it. After many many months of plowing through the endless material, Youtube, Advice sites, Blogs, Courses I thought it was not going to happen and was just about to stop. I then happened upon some quality material that was able to guide me into structuring my own Chinese course. Realising the way to learn first was the alphabet along with the tones. Then I started building on words using about sometimes 5-7 resources some I’d use more than others. I’ve also joined QQ.com and I talk to native Chinese which helps. Instinctively I knew I couldn’t just use one or two resources as too many thing would be left out. I’ve now got into a rhythm and enjoying it but I always knew I needed to start reading and watching CTV. I’ve just started watching Chinese TV and am able to pick out some words although still at basic level. I now thought I needed to start reading but couldn’t find any free content that was useful for me. This has finally rounded my learning 360 degrees as was deficit by 45 degrees. I didn’t want t spend any money at this moment because one can get carried away. I’ve been there and realised it hasn’t helped. Thank you for this material and those in the comments also. I feel very optimistic about learning Chinese and everything that has been said about the way one will feel etc is very true. Luckily for me, my instincts told me this is all natural and this is what you should be doing. Perhaps I may just blog when I acquire a certain level of expertise. xie xie ni.